Welcome to Downtown Lexington – the heart of Kentucky's second-largest city! Our city's center is thriving with an amazing art scene, new restaurants and businesses, parks, modern homes, renovated historic buildings and more. As the Horse Capital of the World, the equestrian theme shines bright and our residents and shop-owners know how to show true southern hospitality. Downtown is an ideal spot to live, work, shop, play and do business. Stop on by and let us show all we have to offer! Provide enhanced cleaning, beautification and safety services. Address critical issues that affect the success of Downtown on behalf of our stakeholders and the regional community. Rupp Arena – a 23,000 seat sports and entertainment center, home of University of Kentucky Men’s Basketball. The Lexington Opera House – a 1,000 seat historic theatre, originally built in 1886 and renovated in 1976. Lexington Convention Center – Nearly 130,000 square feet of elegant and versatile meeting, pre-function and exhibition space. The Shops at Lexington Center – Three levels of unique, locally owned and operated boutiques, fine gift and specialty shops with a food court offering casual dining choices. Triangle Park – This landmark park features a beautiful cascading fountain. VisitLex is the city's tourism and visitors bureau, with resources on everything you need to know about what is going on downtown. Not sure where to start? VisitLex has done some of the work for you... Are you a foodie? Family with little kids? A nature lover? Explore some suggested agendas at visitlex.com/Staycation. As Lexington’s united arts fund and local area arts council, LexArts is a nonprofit community organization that works for the development of a strong and vibrant arts community as a means of enhancing the quality of life in central Kentucky. The Lexington and Fayette County Parking Authority provides, maintains and operates adequate, high-quality, customer-focused public parking and encourages economic growth for the benefit of the residents, businesses and visitors of Lexington-Fayette County. 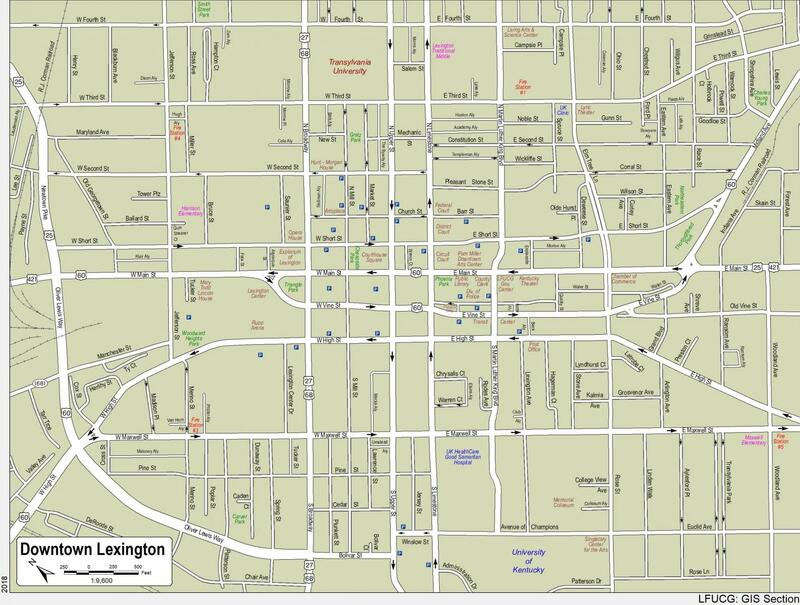 The LexPark.org website serves as a resource for residents, businesses, and visitors who want to know more about Lexington's parking facilities.